If you own an Instant Pot, then you already know it can produce hearty soups, tender whole grains, creamy beans, and melt-in-your-mouth meat dishes. But did you know you can make delectable desserts in the multi-cooker? Perfectly steamed cheesecakes and rich and creamy rice puddings are just the beginning. Crank up your cooker for dessert tonight, you won't be sorry. The cheesecake is an ideal make-ahead dessert—it's better after a rest in the fridge and will knock your dinner guests' socks off. Plus, since the decadent dessert comes together rather effortlessly in the Instant Pot, there's no reason not to make one. Serve with classic cherries or strawberries, or drizzle with chocolate or caramel (or both!). Banana bread isn't just a way to use up old bananas, it's also a just-sweet-enough treat that's especially good with coffee. When cooked in the Instant Pot, it stays nice and moist and won't heat up your kitchen like an oven. You'll need a small bundt pan for this recipe. For a lighter take on dessert, make naturally sweet homemade applesauce in a snap. To prepare using an Instant Pot or other electric pressure cooker, simply combine the ingredients in the pot and secure the lid. Follow the instructions as written and serve warm or chilled. It's a great way to use up extra apples and can be frozen or canned. Arroz Con Leche is an Hispanic version of rice pudding, popular in countries like Mexico and Cuba. The creamy dessert only takes a few simple ingredients, and this shortcut version is fast and couldn't be simpler to make without sacrificing flavor. Top with a dusting of cinnamon. Individual steamed chocolate puddings are effortless when stacked and steamed in the Instant Pot, and can be stored in the fridge for a daily treat. When your sweet tooth is acting up, reach for a pot de créme. If you're topping with whipped cream, store it separately for up to 2 days in the fridge. A classic British dessert, sticky toffee pudding contains sweet, chewy dates and molasses. The warm, individually-sized cakes are best topped with caramel sauce and even some custard sauce. 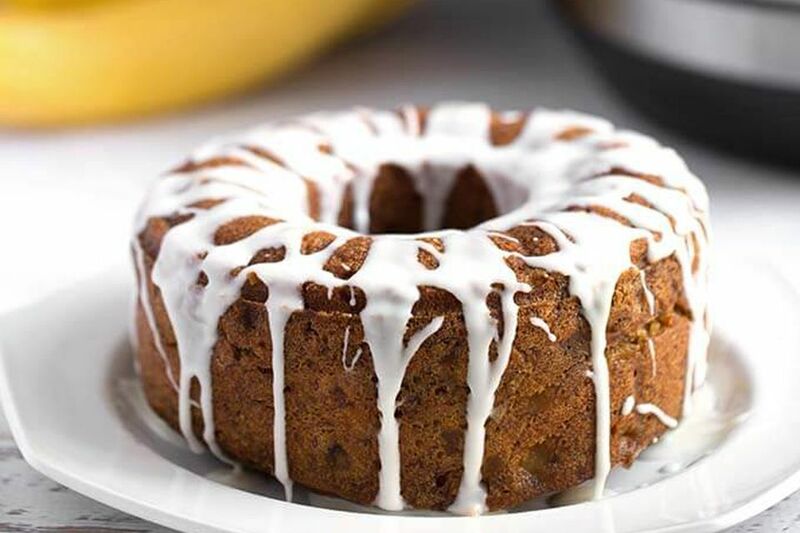 Steaming them in the Instant Pot means your cakes are guaranteed to be fantastically moist. Prepare to be amazed! You can make a cheesecake-like dessert with little to no effort and without any cheese whatsoever. Two ingredients are all you need: sweetened condensed milk and whole milk yogurt. This Indian-style dessert is totally customizable, and includes instructions for making mini cheesecakes or one big dessert. Dairy-free and egg-free, this vegan chocolate cake only takes a few simple ingredients to create a decadent dessert. Cooked in the Instant Pot, the cake is never dry and doesn't even need a blanket of frosting (but it wouldn't hurt anything to have some frosting!). It's especially good with fresh raspberries. Got a few apples lying around? Give them a quick chop and make a sweet and cinnamon-y cake. Cook it in a springform pan if you have one since the cake looks lovely presented on a plate or cake stand. Pair it with vanilla ice cream for dessert or yogurt for a special breakfast. Flan is an egg custard that cooks on top of a caramel sauce. Once the dish cools completely in the fridge, you turn it out and the caramel sauce blankets the sweet, smooth dessert. It's a thing of beauty that you can make ahead and whip out at the end of a meal to a chorus of oo's and ah's. Transform stale bread into a sweet and spiced treat with the help of eggs, milk, spices, and the Instant Pot. Leave out the pecans if that's not your thing, and add chocolate chips if that is your thing. Top with whipped cream and a drizzle of chocolate or your choice of sauce. Rice pudding is incredibly easy when made in the Instant Pot. You add the rice and liquid to the pot, let it cook, and stir in the eggs and some more liquid at the end until the mixture is creamy and delicious. The sky is the limit here in terms of flavors: try rosewater and pistachio, or simply chocolate chip and walnut. Subtract some dessert-time guilt by making a crustless pumpkin pie. It still has all of the flavor and texture you're looking for with less carbs. Make sure to chill it completely before serving, and serve with fresh-whipped cream. 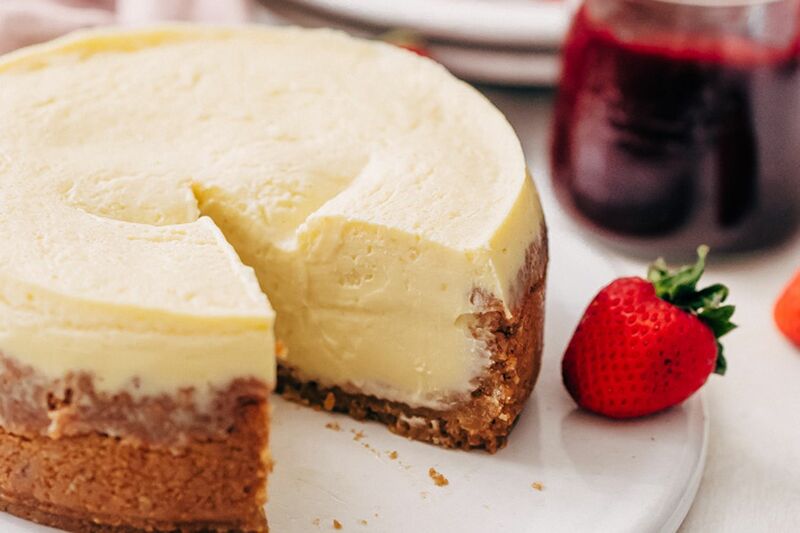 This list wouldn't be complete without another cheesecake, because it's potentially the best Instant Pot dessert and the flavor combos are limitless. It's hard to beat this Oreo version, though!